The most common type of headaches can come on suddenly and affect quality of life significantly- causing you to miss work or important events with family and friends. Devanshi Gupta, MD, FAAN, FAANEM, of North Texas Neurology & Neuropathy in Allen, Texas, specializes in neurology and several other subspecialties of Neurology. Dr. Gupta provides state-of-the-art diagnostic testing so she can treat the underlying cause of your headache and migraine pain. 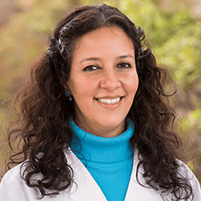 She creates an individualized treatment plan to help you achieve long-term relief. If you suffer from frequent headache pain, call or request an appointment online today. The cause of your headache pain depends on the type of head pain you experience. The most common type is a tension headache in which tight muscles in your shoulder, neck, and jaw cause headache pain. Tension headaches often occur when you are stressed out, don’t get enough sleep, or suffer from depression and anxiety. Migraines: Caused by factors affecting pain-sensitive structures in the brain. Genetics may have a role to play as well, but many treatment options are available. Low- or high-pressure headaches: High-pressure headaches mimic the symptoms of a brain tumor and are very rare. Obesity and certain medications are other likely causes of high-pressure headaches. Each type of headache may be the result of a variety of factors, such as stress, injury, or food and other triggers. Dr. Gupta expertly determines the cause of your headache pain to customize an effective treatment plan. Treatment options vary depending on the type of headaches you experience, the underlying causes, and Dr. Gupta’s diagnostic testing results. She may recommend simple lifestyle modifications that have proven to be a blockbuster particularly in treating headaches. She also discusses your health history and conducts a thorough examination to rule out potential causes. The ultimate goal of treatment is to reduce pain and improve your overall quality of life. Call or request an appointment online today to explore your options for effective headache relief.